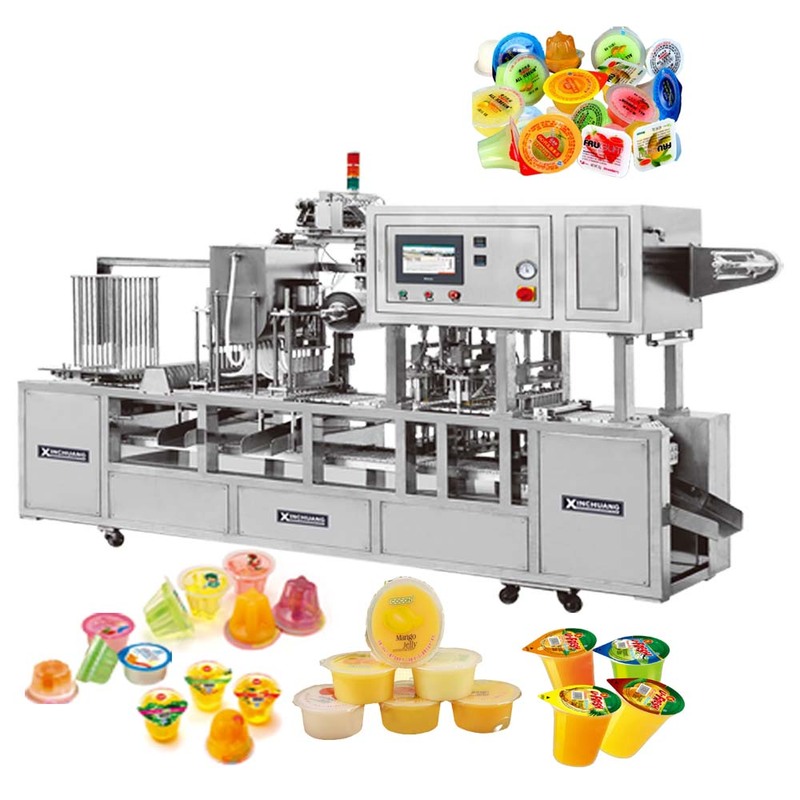 A packing machine specially designed for jelly cup filling and sealing. A highly automated packing machine. The operation cycle, from cup feeding, filling, sealing to product outfeed are fully automatically performed. It's a necessity in mass production line ! 1. Pneumatic cup auto feeder.